Laura Gragtmans is an actress, singer, songwriter, multi-instrumentalist and theatre maker from Prince Edward County, Ontario. In 2014, she completed her first full score for the Ars Nova production of Astronaut, and in 2016 released her debut album, Hug the Lonely Cactus. Her latest work – Love – was co-created with Vichet Chum and is now playing at the New Ohio Theatre after a successful run as part of the Ice Factory Festival this summer. Earlier this month, she performed at the Amsterdam Fringe Festival. Works by Women spoke to her about her favorite places in New York City, the Ice Factory Festival and her dream project. WORKS BY WOMEN: What is your favorite place in New York City? Why is it so special? LAURA GRAGTMANS: The walking paths in Prospect Park and the open green by the river in Astoria Park are easy favorites for me. Both have very special places in my heart. The first helped me to survive my initiation into the city, the second has become a home base and a sanctuary. WBW: Tell me about your collaboration with Vichet Chum on Love How did it come about? LG: Vichet and I went to the University of Evansville together. We were a year apart and lived for a year with four other people in surely one of the dirtiest houses known to humanity – we’ve been friends since. This past summer, Vichet was offered a place in the Ice Factory Festival line-up to perform a new play we’d been developing about our many and varying experiences living in this beast of a metropolis. He called me in June to let me know that it was crunch time, we completed development of the script in July (remotely as we were both out of town), rehearsed like ninjas in August when I landed back in the city, and opened in just under two weeks. In August we brought in Evansville cohorts Emily Kitchens as our director and Aaron Johnson to design. It has been a dream team. We’ve now been lucky enough to receive an extension at the New Ohio. Shameless plug to come see the show here! WBW: What was it like being part of Ice Factory? And, how excited are you for the show’s return? LG: Being a part of the Ice Factory Festival was fantastic. I think we all felt a great deal of artistic freedom throughout. Festivals are always a bit hectic, but we purposely created a piece that can transition easily between spaces. We practice simple storytelling throughout the piece so it’s not rocket science getting back into the swing – not to diminish all the effort that went in. We worked our butts off. And it was a blast. I am truly excited about LOVE‘s return. Already it feels more inhabited, like we’ve walked through a whole new threshold with the piece. The Ice Factory version was its first iteration, now we can move forward with all the information we got from that experience. It’s deeply satisfying. WBW: What inspired you most to become an artist? What sustains you as an artist? WBW: What’s the most engaging/electrifying piece of theater that you’ve seen recently? LG: I saw The Encounter on Broadway recently and loved it. I’ve also been listening to an album lately called A Pocket of Wind Resistance by Karine Polwart that I’ve recently learned is a theatrical piece AND album. I’m really interested in this kind of storytelling so I’m a little obsessed. WBW: Tell me about a project you dream of making. LG: I’m currently working on a collection of music that started as a concept album based on my husband’s and my trip to high altitudes in the Himalayas of Nepal, but it’s slowly grown into its own animal – more of a generational mythology in a distant mountainous land. I’m interesting in it being both a theatrical and purely aural experience. A working title is Water Bodies: The Life and Death of Mary and Bethesda, but who knows if that title will stick. It’s the story of two sisters. They come from the same mother, but are born of entirely different circumstances. One is born of fire and passion, the other of tears and assault. They meet each other for the first time later in their lives and the story of two different experiences colliding ensues. I’m quite excited about it. LG: Make. Make as much as possible. Even if you have a very specific focus of wanting to be this or that, still make, create as much of your own work as possible. You won’t regret it. There’s that great story of the pottery teacher who on the first day split her students into two groups. She told them that on the last day of the semester, the first half of the class was going to be graded on one ceramic pot they make, and the second half of the class would be graded on their number of pots made. So the semester passes and what is seen at the end of it all? The students who just made and made and made and weren’t precious about making the ideal thing had far surpassed those that were trying to make perfection emerge. Perfection of any kind is a myth – in work, in circumstance and opportunity, all of it. It’s necessary, as an artist, to simply sit down every day, and do. Who the hell cares if its good or not, taste will come with time, and experience. So get to it! Set your timer for 20 minutes. 10 minutes! Anything. Get those consistent office hours in place so the muses know when you’re open for business. Oh, one last thought about this question. Viv Benesch once told me that everyone has a different tolerance for the business and for waiting by the phone. Learn your tolerance, don’t judge other people for theirs, and dig your claws into your own satisfaction. Love runs through September 16th at the New Ohio Theatre. For more information, visit here. 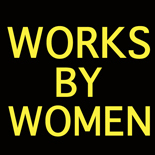 This entry was posted on September 14, 2018 by worksbywomen in Off-Off Broadway, Theater, Women and tagged a pocket of wind resistance, aaron johnson, amsterdam fringe festival, ars nova, astoria park, astronaut, emily kitchens, hug the lonely cactus, karine polwart, laura gragtmans, new ohio theatre, prospect park, the encounter, vichet chum.